Hello, again. I know have been gone for a long time. I thought it would be a good idea to try out a ton of recipes first and then be more prepared to share them with you all. 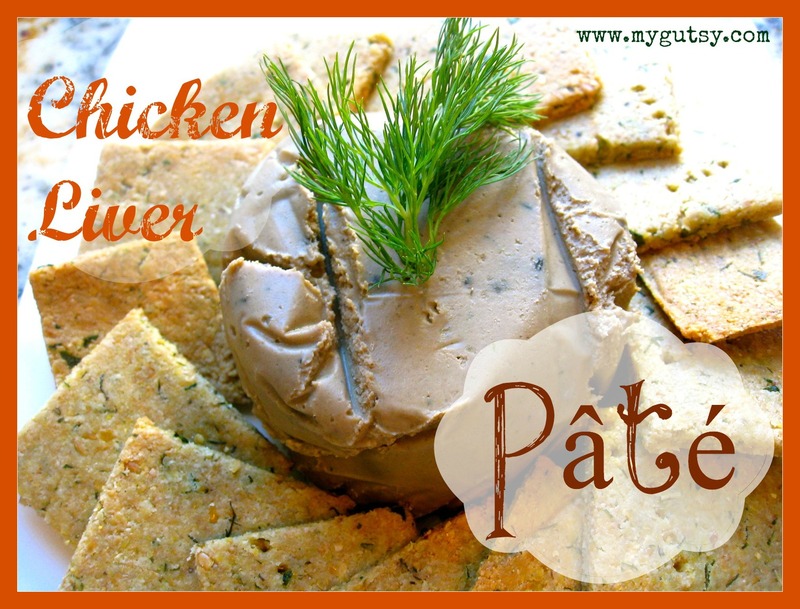 Today I am sharing a staple in my house…LIVER PATE! 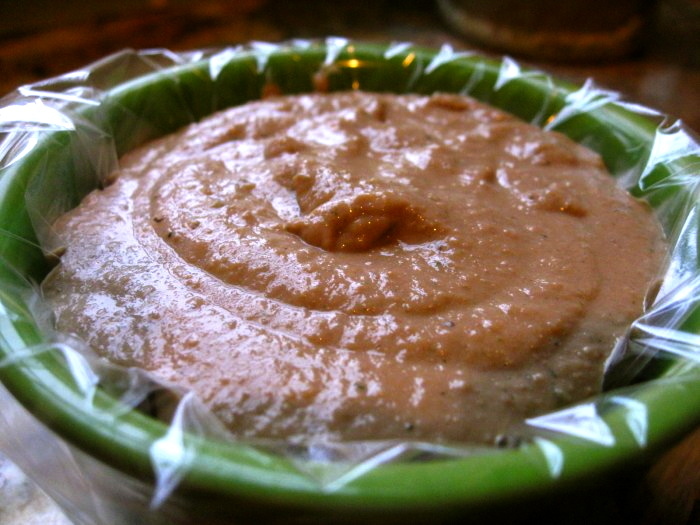 Liver Pate is a great way to hide that “livery taste”. 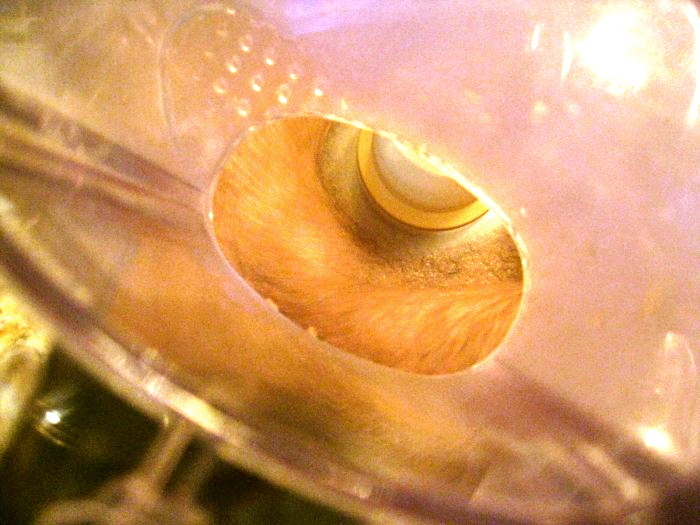 Soaking the liver in milk or lemon juice for a few hours will reduce the “livery taste” even more. This is an easy recipe and I always make extra and freeze it. If you are on GAPS and cannot have butter yet, ghee would work perfectly too! 1 tsp fresh sage, parsley, rosemary, and thyme (feel free to play around with the herbs you like). 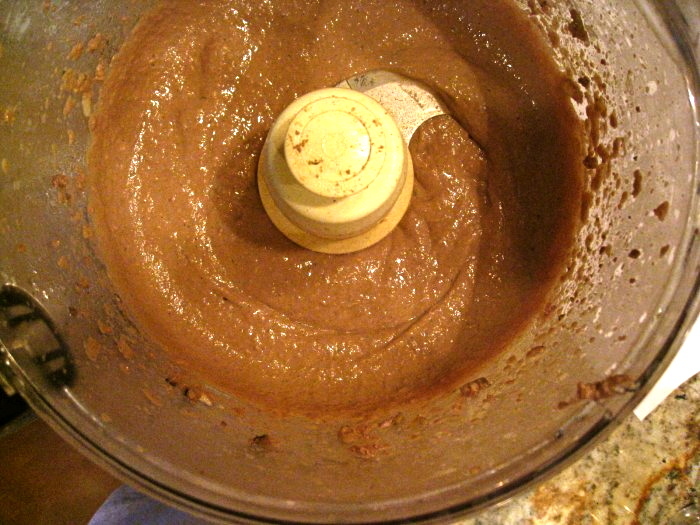 Dried is ok too, just use 1/2 tsp. 2. Cube your 8 TBS of cold butter, and set aside. 4. 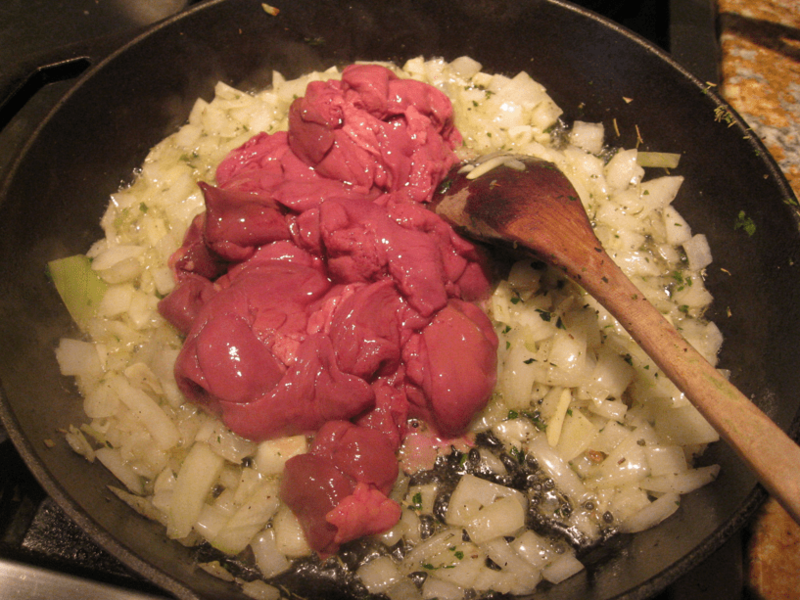 Add liver and cook–don’t over cook them, leave them a little pink. (It is ok to leave them a little raw if you freeze them for 3 weeks beforehand to kill off any bacteria. The liver retains its vitamins better if it is eaten raw.) I use this cast iron skillet. 5. 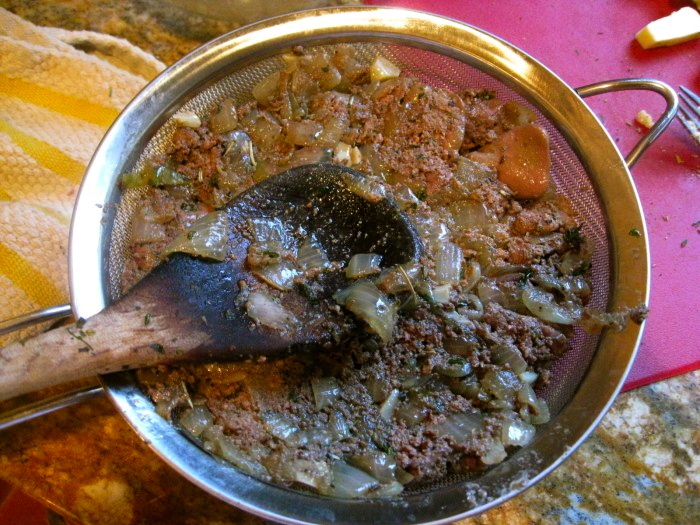 (optional) put in sieve (fine mesh) and stain out liquid for extra thick pate. 6. 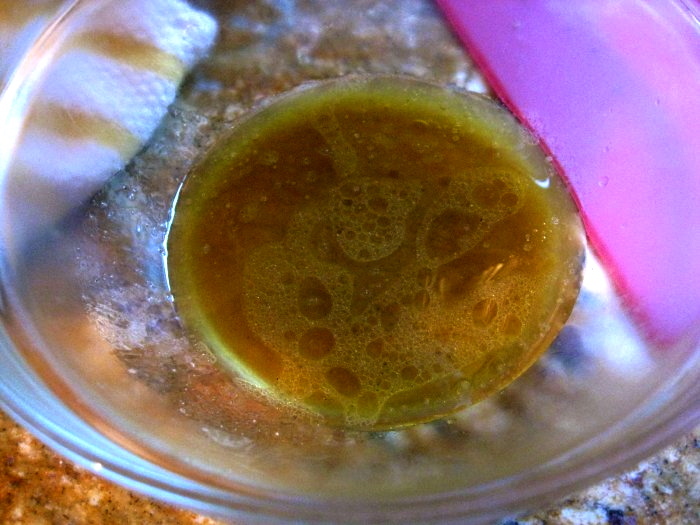 Save the strained liquid in a little jar. Chill in the fridge and the layer of liver flavored butter will come to the top. 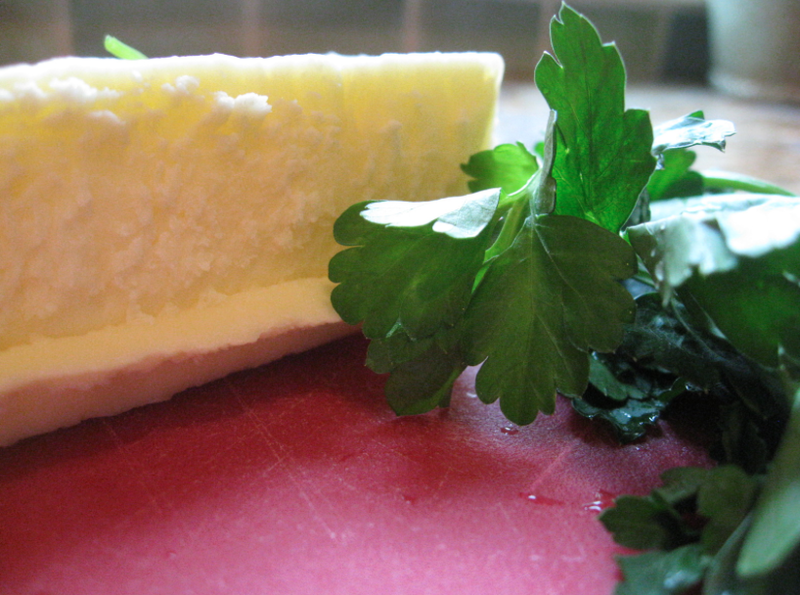 This is AMAZINGLY flavorful butter! You can use the liquid for a stock or soup. 7. Puree sautéed mix and 8 T of butter cut in cubes (I used my Cuisinart). 8. 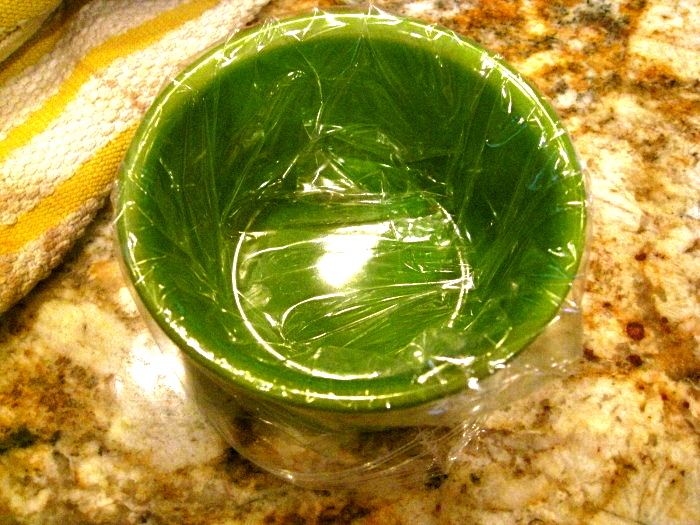 Put liver puree in a mold (I line a small baking cup with a plastic bag to make it easy to flip it out). 9. Refrigerate until hard, and flip out of mold. Eat with veggies or crackers! 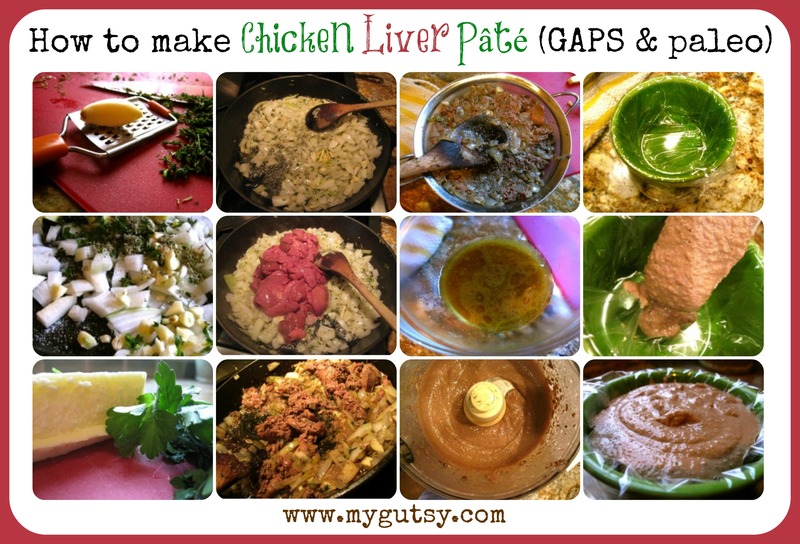 I must say, I’ve never really been a fan of liver pate…BUT I think you may have tempted me to try it 😉 I’m pinning this for when I finally work up the courage to make this 🙂 Seems easy enough! Thanks for linking up with Tiny Tip Tuesday this week! This looks wonderful! I’m planning to try making a pate … totally new to me 🙂 I’d like to invite you to share it with us at Scratch Cookin’ Tuesday. I’m the only one in my household that loves liver LOL. The rest of the family turns their nose up at it. But, when I have those chicken livers available, I may give this a try and not tell anyone what it is ☺ That would be a great way to try out a new recipe on the rest of the family. Thanks for sharing in our recipe hop this week! yes! you welcome..thats what i do with my family as well. if they like it they never have to know what is in it! Yep! we just quickly cook the livers on the stove until just pink- we like to keep them slightly raw because of the good enzymes! Have you tried this with beef liver? I have grass fed beef liver that I want to use. No i have not. I am sure it would still be delicious! 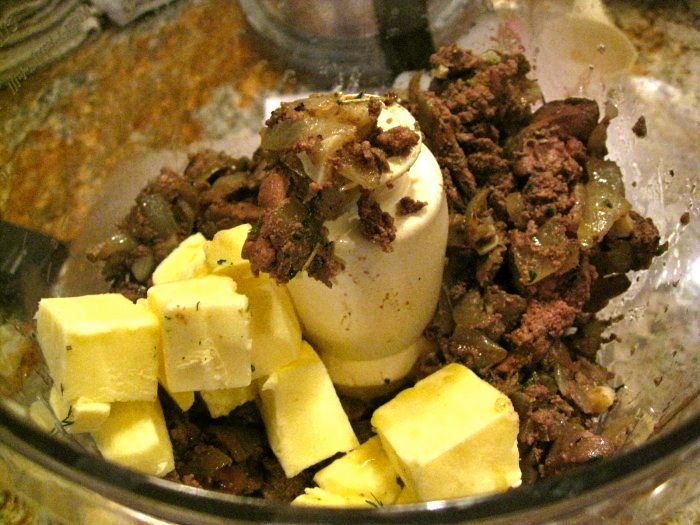 Maybe try soaking the beef liver in lemon juice or milk to reduce the strong “liver” taste. Does it really really REALLY hide the taste of the liver? I’m a HUGE baby when it comes to liver. I like the taste it imparts to food, like in broth or with onions, but if it so much as touches my finger and then I lick that finger, BLECCH. Last time my dad made me try chicken liver, I all but vomited. To be fair, I don’t think I’ve never had lemon-soaked liver. So I guess it’s worth a try. yes it REALLY does! butter is a good cover up! soak the liver in lemon water first though to get rid of the taste more. I can’t have butter or ghee. Any substitute? Great! I will give it a try! Thank you! This is a good one! you welcome. I made this tonight and it’s fantastic! I soaked the liver in milk and wow, what a difference that made. oh good! yes I’m glad you can tell! Made this for Christmas Eve and in the spirit of things threw in a splash of scotch. It was very well received. Served it with some sauerkraut and a Jewish friend said it was the best pate he’d ever tasted and planned on telling his sister so. is it one teaspoon of EACH of those fresh herbs? Or in total? thanks! I did 1 tsp of each, but it turned out herb-y (just how we like it.) If you want it less herby then do less. 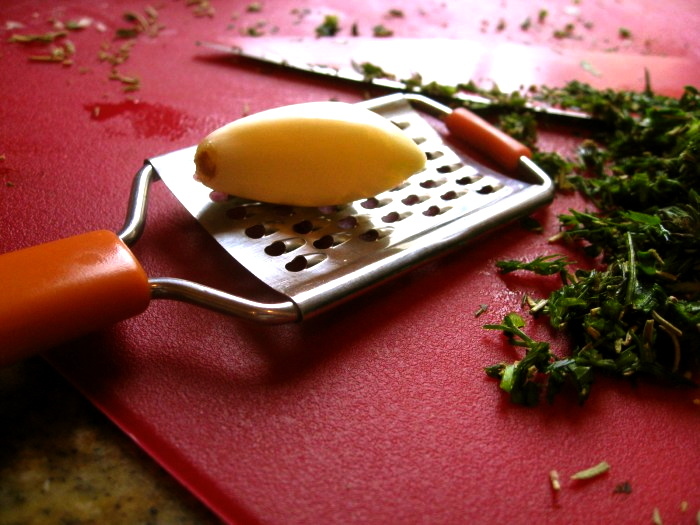 if you do dried herbs use 1/4 tsp.